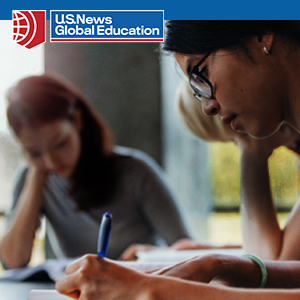 The higher education system in the U.S. is different than the Indian education system; because of this, students and parents are not always aware of the value of community colleges. The pathways to a bachelor’s degree to the UC and California State University (CSU) systems at California’s 113 community colleges are particularly strong. 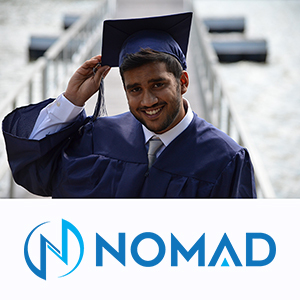 By completing 2 years of core courses at a community college, then transferring to a university in their third year allows students to be awarded a bachelor’s degree from the university of their choice in four years. To make this pathway as simple as possible, most California community colleges offer guaranteed or preferred admission to top universities such as UCLA, UC Davis, and UC Irvine. Some California community colleges such as Foothill and De Anza Colleges (FHDA), located in Silicon Valley, have agreements with over 100 universities across the U.S., Canada, and Europe. All of this may sound too good to be true, but did you know that, according to a 2013 study by the National Center for Education Statistics, nearly 50% of American students chose to begin their study toward a bachelor’s degree at a community college? Additionally, 93% of admitted transfer students to both UC Berkeley and UCLA were from California Community Colleges and 30% of graduates from the University of California (UC) system are transfer students from a community college. Foothill-De Anza (FHDA) Colleges rank #1 for admission and transfer to the University of California (UC). In Fall 2016 alone, 126 international students from FHDA were accepted to UC Berkeley, 166 to UCLA, 408 to UC San Diego, and 456 to UC Davis. In addition, international students transferred MIT, Stanford, Yale, Columbia, Johns Hopkins, and many more. The strong transfer record, relationships with top universities, robust academic programs, individualized support, and the welcoming community attract Indian students such as Surej Sathya to California. Satya, recently transferred to Purdue University to continue his studies in Mechanical Engineering. “My dream was to attend a top American university for my Bachelor’s degree, but I didn’t want to burden my family financially. I learned about Foothill’s transfer record and decided to apply. My parents were skeptical at first, but now are very happy with my choice. I have learned that this is the best way to get a degree in the U.S. The beauty of the campus, affordability, and competiveness are provided me with an amazing experience that helped me get into my dream program.” Sathya, also elected Treasurer of the Engineering Club, took advantage of the many extracurricular and research opportunities available to students. “The laboratories at Foothill were state of the art and I got hands-on experience. There’s even a 3D printing lab that students can use,” he explained. Shruti Venkatesh, a current FHDA student from Mumbai, learned about Foothill College from family friends. “I feel fortunate to be at Foothill College and have options to transfer to UCLA or another prestigious university to get my degree. Some of my friends thought that I was crazy. They said that a community college isn’t a real school, but now they are studying at universities that might not be a good fit. Studying at a community college first has allowed me to not only save some money and become more mature, but also I know that I will get my degree from a top ranked university since I have an admission guarantee. And these students are in great company. Co-founders of Apple, Steve Jobs and Steve Wozniak, both attended De Anza College. Wozniak later transferred to UC Berkeley. Gene Block, UCLA Chancellor attended Foothill College before transferring to Stanford. Foothill–De Anza alumni have started their own lucrative businesses, risen in the ranks of corporations, excelled in the arts, and gained respect in government positions.